San Francisco city tours Get professional driver to show you around. Want to see the major San Francisco sights on a limited schedule? Want to travel in the luxury and comfort of a private limo, without worrying about the hassles of crowded bus tours, traffic or parking? Book a private San Francisco City Tour from San Francisco Limo, and experience the wonders of world-famous San Francisco in comfort and style! Your San Francisco City Tour might start with bustling Fisherman's Wharf and Chinatown, the largest Chinese community outside of China itself. Your limo can then proceed to San Francisco's Coit Tower on Telegraph Hill, a renowned landmark. Then on to Lombard Street, where you can walk "the crookedest street in the world. "San Francisco City Tours visit the unique Lombard Street. You might want your San Francisco tour to swing by Union Square, or take a limo trip over the Golden Gate Bridge and look back over the bridge at San Francisco from the beautiful Marin Headlands. Maybe you'd like to tour along Sea Cliff and see the homes of some of San Francisco's rich and famous, stopping at the Cliff House along the magnificent California coastline, with a view of Seal Rock. Your San Francisco City Tour can wind through Golden Gate Park and the infamous Haight-Ashbury district, or take your limo up to Twin Peaks for the locals' favorite view of the city. With all there is to see and do in San Francisco, you'll want to fit as much as possible into the time you have for your San Francisco City Tour. And our highly knowledgeable staff and drivers can help you do just that, avoiding entirely the headaches of traffic, parking, and figuring out how to get around. Luxury San Francisco Tours from San Francisco Limo.San Francisco Limo's vehicles are clean and well-maintained, our drivers are courteous, trained professionals, and our staff know San Francisco as well as anyone. 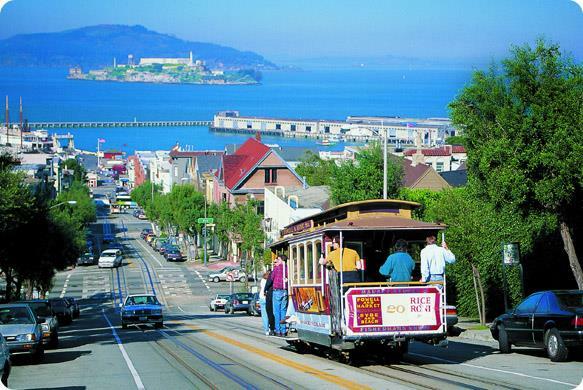 Join us for the most luxurious, relaxed San Francisco tour the city has to offer!